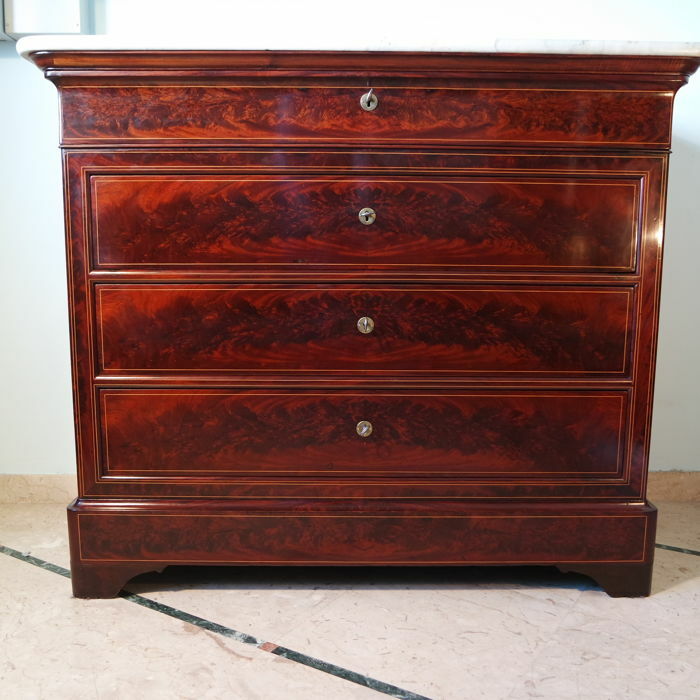 Commode with folding top, in mahogany and flamed mahogany, with maple fillets. 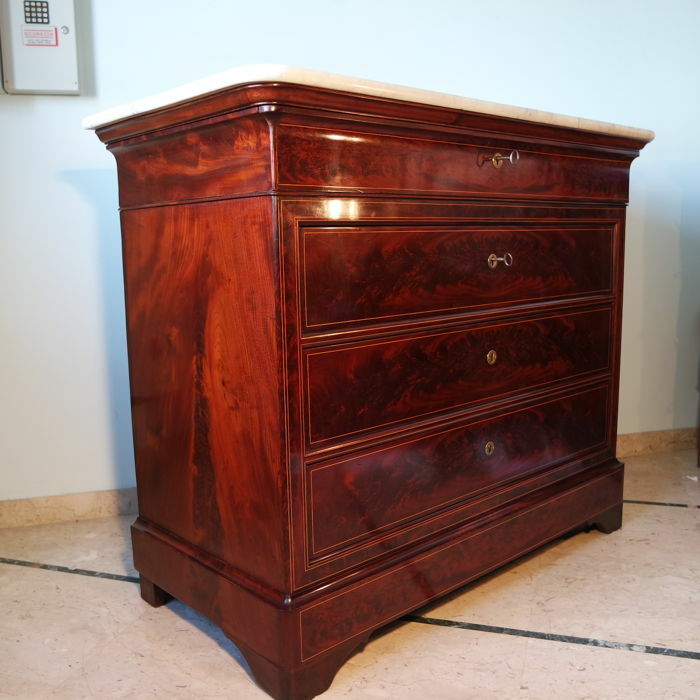 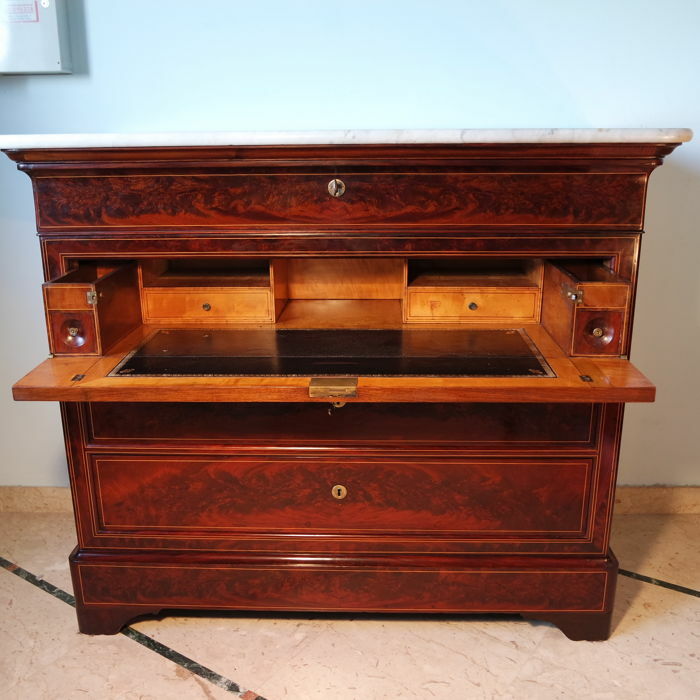 Inside the drawer with the folding top there are maple and mahogany woods that embellish the small drawers, while the top is finished with beautiful original embossed leather. 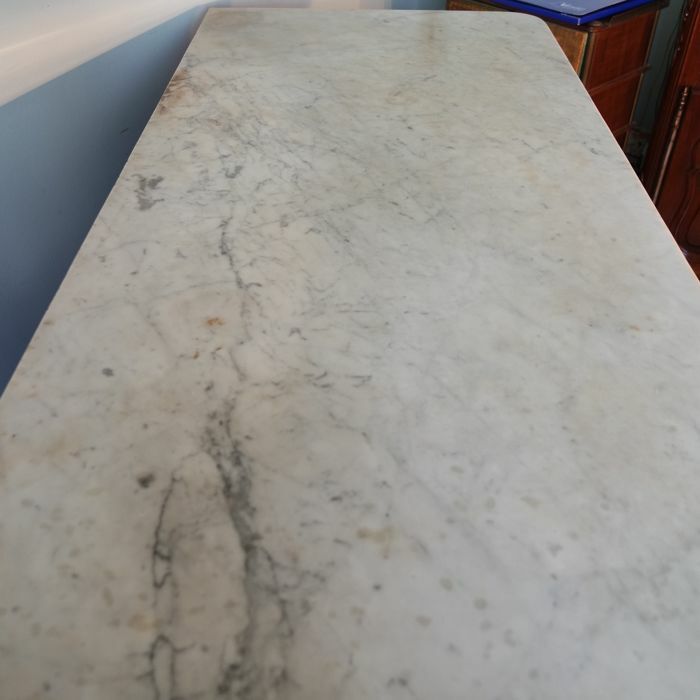 The top surface is in white Carrara marble. 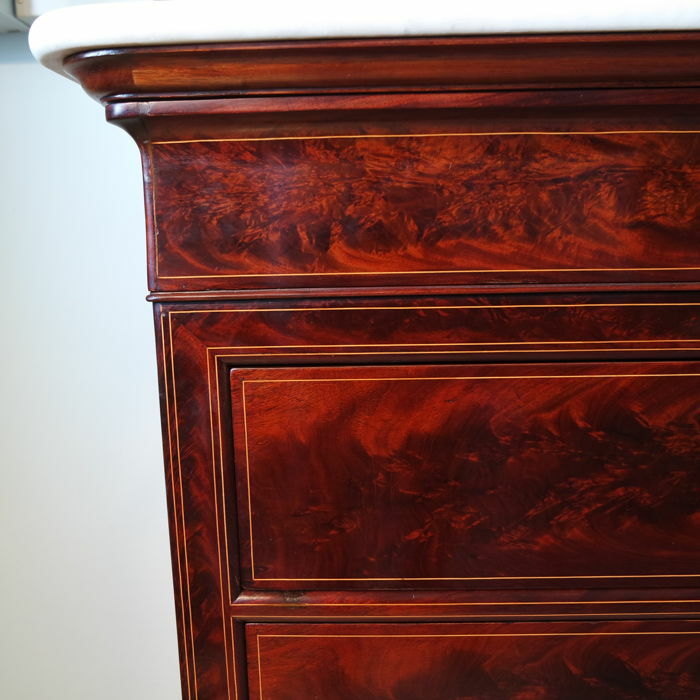 In excellent condition, restored and finished with shellac. 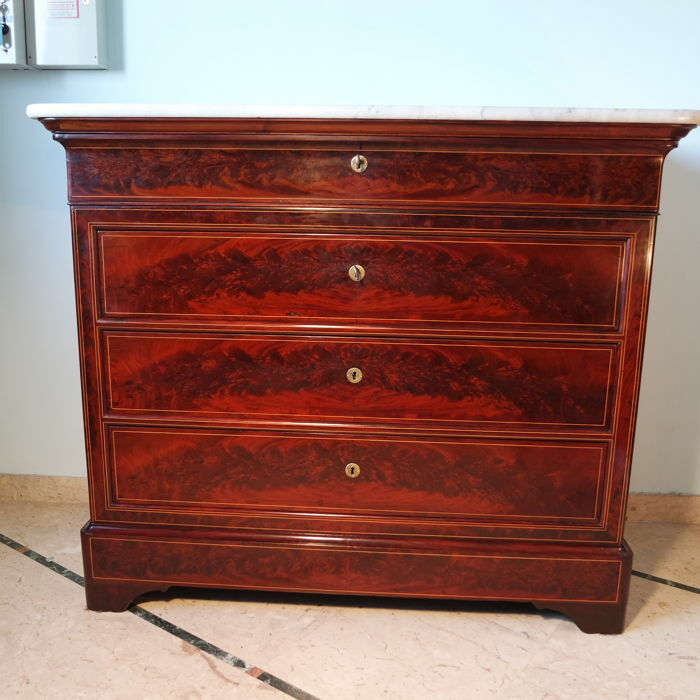 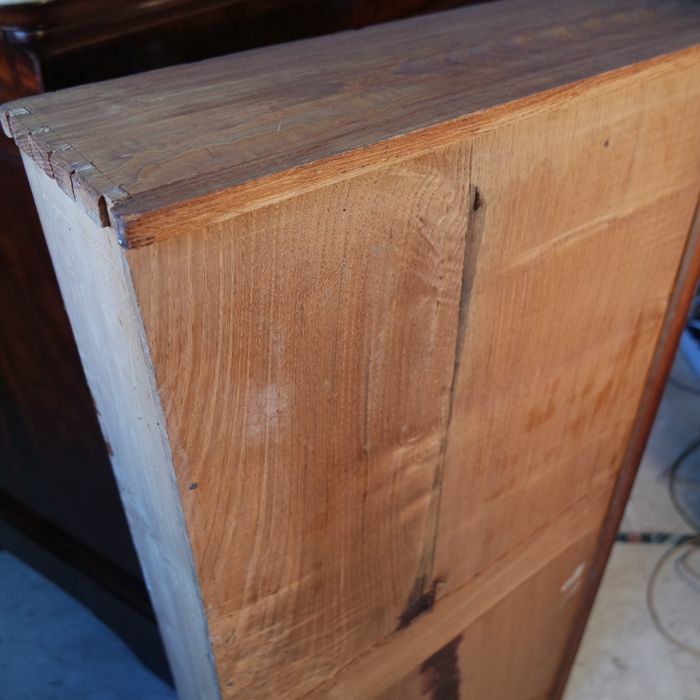 Wood: mahogany, flamed mahogany, oak. 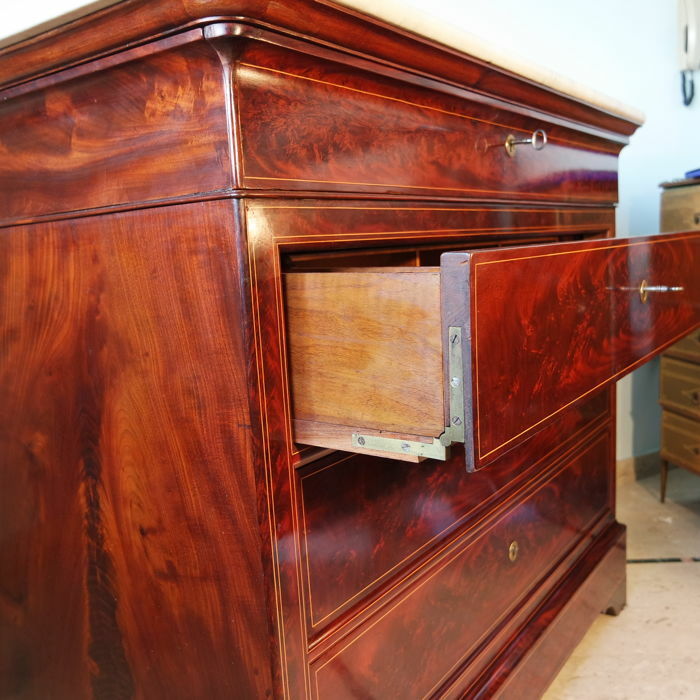 Dimensions: cm 123 x 60 x 103 h.
*** Please note that two locks were replaced.